Tracey joined the property sales team at McIntyre and Company in 2007. She has acquired considerable experience in the sale and marketing of properties and is able to offer a wealth of knowledge, particularly in relation to the local West Highland property market. Tracey is highly motivated and has helped to develop McIntyre & Company’s reputation for excellent customer service by consistently going to great lengths for her clients and recognising the value of properties as homes. 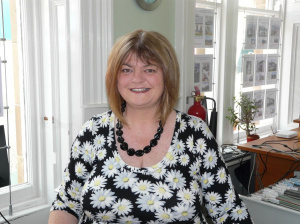 Tracey’s focus is ensuring that we are able to provide the best possible service to buyers and sellers alike whilst helping the business grow as one of the West Highland’s leading independent Estate Agents. Tracey, and her colleagues in the property sales team, will professionally promote your property to prospective buyers. Her courteous manner and knowledgeable attitude have been commended by many property viewers and subsequent purchasers.